Blow out pricing!!! Priced below MSRP This adaptable Silverado 1500 would look so much better out doing all the stuff you need it to, instead of sitting here unutilized on our lot 4 Wheel Drive!! ELECTRIFYING!! Optional equipment includes: Engine: 5.3L EcoTec3 V8, Custom Convenience Package, Infotainment Package, Integrated Trailer Brake Controller… Disclaimer: Our internet prices are after all applicable rebates. Subject to lenders credit approval. Rebates may or may not applied towards leases.0 apr is in lieu of rebates! on selected models. Terms and condition may apply call or see dealer for details. All prices are plus sales tax, 145.80 dealer doc fee, and 14.00 title. On approval of credit. . see dealer for details. Chevrolet trade assist in allowance must trade in a 1999 or newer car or truck. Must show proof of ownership, subject to credit approval. Chevrolet Select nameplatemust own or lease a 1999 or newer non gm product. Daewoo, Daihatsu, Honda, Hyundai, Isuzu, Kia, Mazda, Mitsubishi, Nissan, Scion, Subaru, Suzuki, Toyota. Gm Lease Loyalty must have a current Gm Lease thru Ally, Gmf or Us Bank only good towards a retail purchase 3000 on half ton double cabs and 2000 on half ton crew cabs. Must show proof of ownership. see dealer for details expires 1/31/2019. some of these vehicles are former service loaners. 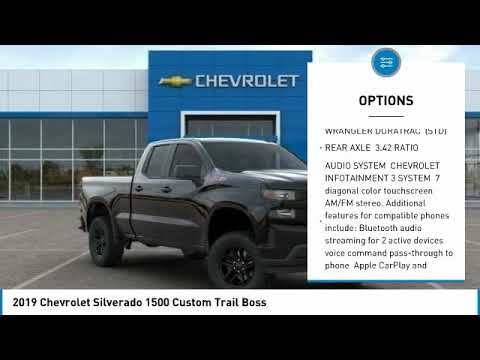 Related Post "2019 Chevrolet Silverado 1500 2019 Chevrolet Silverado 1500 Custom Trail Boss FOR SALE in Post Falls"
2020 Chevrolet Silverado HD – Big face for Chevy's big pickup truck ! !